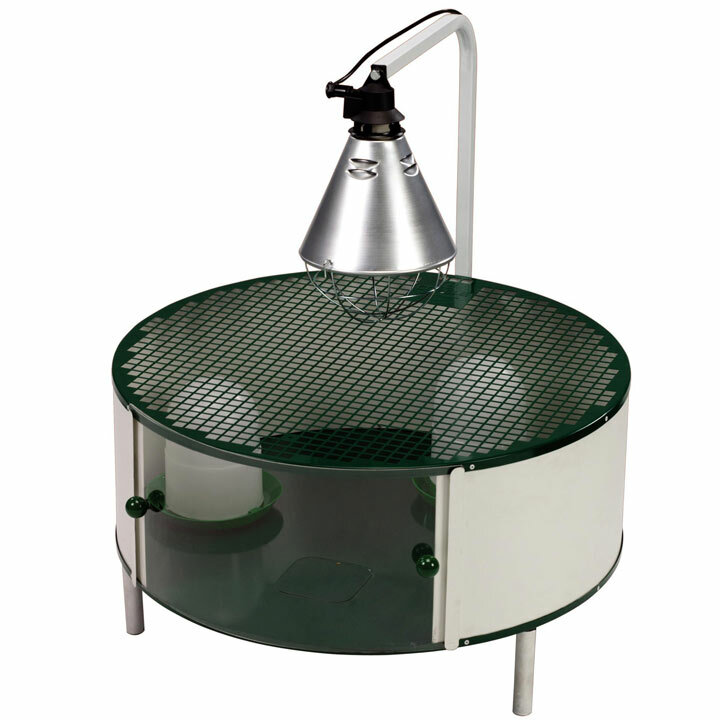 The perfect self-contained brooding unit complete with overhead heat lamp, drinker and feeder. A sliding perspex door gives access at the front and the unit is raised on legs to prevent draughts. Suitable for up to 30 very lucky chicks or 50 quail for their first few weeks. Size: 21cm deep; 69cm high including lamp stand and 71cm external diameter. Power output - 150w.